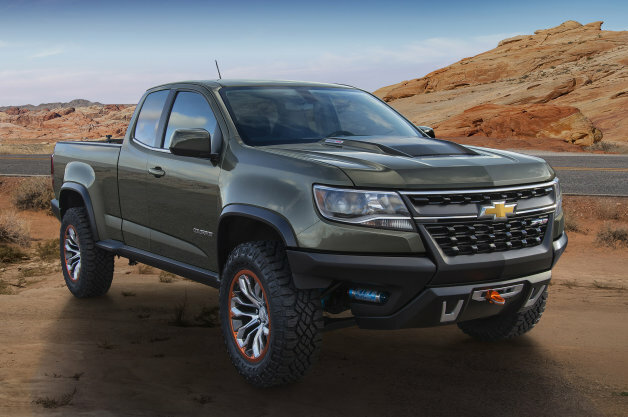 Yesterday, at the LA Auto Show, Chevrolet showcased the Colorado ZR2 concept– an aggressive off-road truck specifically aimed at providing GM’s line-up with a true and pure off-road option. Blending together elements of the well-established Colorado and the ZR2 trim package, GM believes that this truck will make waves amongst off-roaders when it is released next year. Improved front and rear fascias that sharply reduce the overhang, which helps provide greater approach and departure angles to provide more ground clearance. As far as the engine goes, the Colorado ZR2 will use a 2.8-liter Duramax diesel engine that will crank out an estimated 181 horsepower and 369 pounds-feet of torque. It will also feature a six-speed automatic transmission. So, what do you think? Has GM put out a legitimate threat to the Ford Raptor? Could it potentially take the crown as today’s ultimate off-road midsize truck? 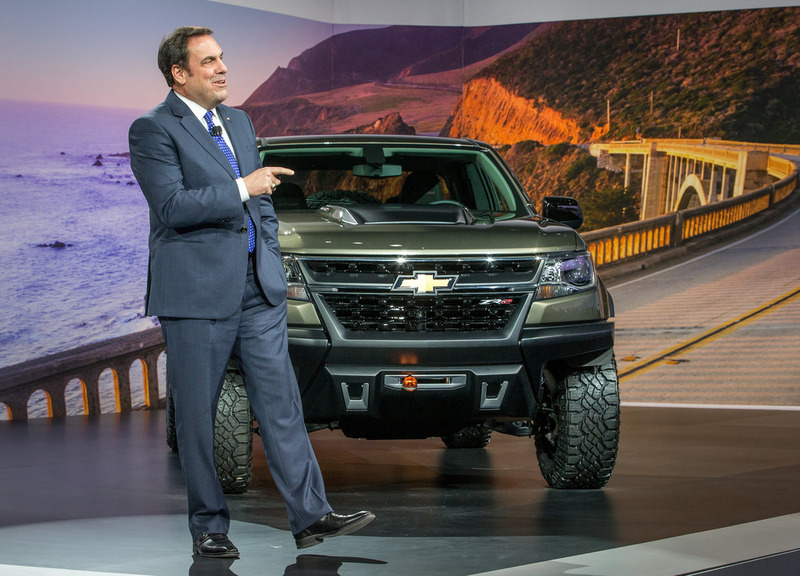 This entry was posted in GM and tagged chevrolet, chevy, colorado, debut, ford, GM LA Auto Show, ZR2 Concept. Bookmark the permalink. The BMW i8: Elite Ride or Overpriced and Overhyped?